met on Wednesday, March 27th at Vantage Point. Point is the destination for April 17th. See you there! 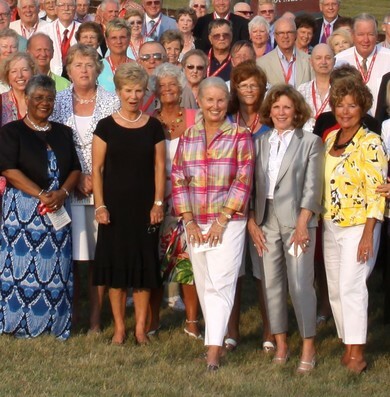 Our 55th reunion week-end was enjoyed by all attendees. keep this website going for at least another 5 years. Our Facebook sites will remain active for news and information. Please help by keeping your contact information up to date. Would you like to have something sooner than 5 years? Would you like a California or Florida or Arizona get-together? make our 55th a Fabulous Week-end!!! Enter your email address and your password. If you have changed email address, click on the CONTACT US button in the left column and include your latest email address. We'll respond with a new temporary password. If you have NOT changed your email address, and are still having problems with your password, You can have your password of record emailed to your existing email address. These in-between reunion years means you may not visit our website very often. There's a way you can still keep up with what's new here by opting into notifications sent by email for specific kinds of events that are new or updated at our porthuronhighschool.info website. Click on the Notify Me link in the left colum and you can choose the types of changes which might be made to the website and how you want to be notified. 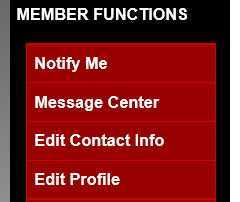 For example, when a specific friend updates their profile, or when a class member has been added to the In Memory page, or when a new annoucement or webpage has been edited or added. Click on the picture at right to see the group photo taken below the Blue Water Bridges between the reception and the dinner/dance on July 16. A few shy classmates are not included in the final photo at their request. We counted 200 class members and 105 guests for the main event. Only class members are shown in this group photo. The larger image will open in a new pop-out window. Click again on the new image to enlarge or reduce the size. Click out, reposition the mouse and click in to focus on different faces. Clicking on links inside this box will open the linked information in a new window/tab.